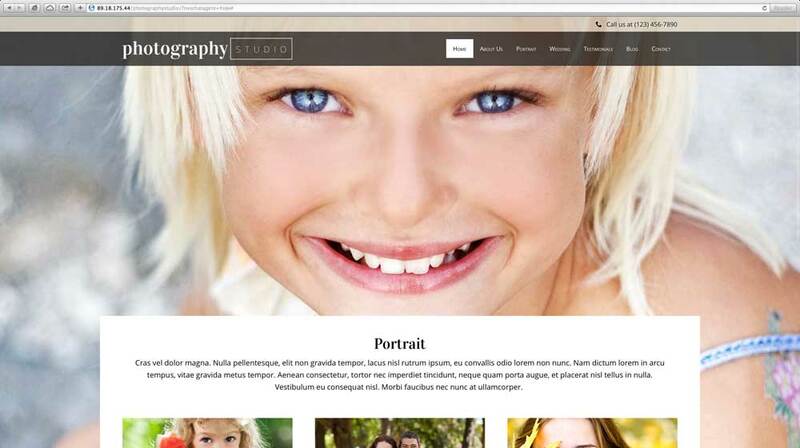 While your capturing those precious moments in time, a website based on the Photography Studio WordPress theme is your silent partner. Working stolidly in the back spreading your creative skill set among the crowd. We all want to share our passion with an audience. When it comes to photography it's only natural that images get the online platform they deserve for all the world to see. 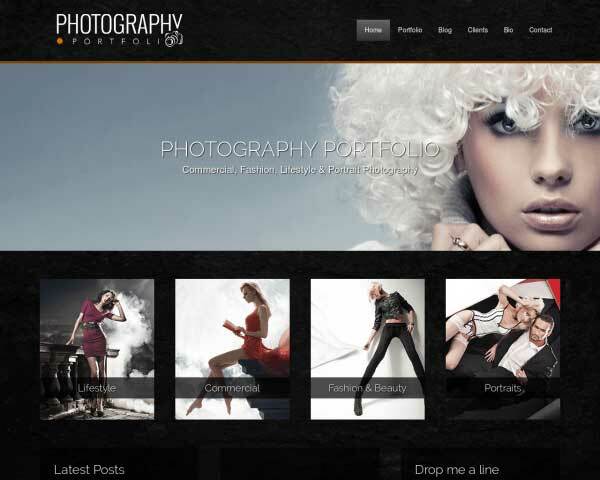 The Photography Studio WordPress theme was created with that requirement in mind. It's site structure is subservient to the images which are the definite core of the entire theme. 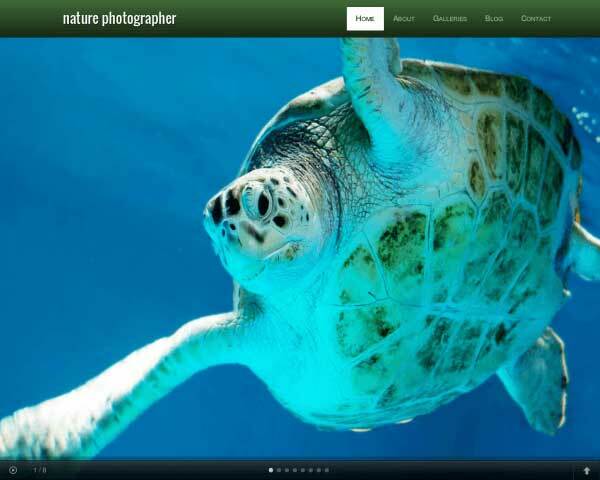 With a dazzling full page slider on the homepage you'll be able to prominently feature your best work. A toned down color scheme, which can be fully adjusted to suit your personal preferences, further enhance the images. Placholder for your most imporatnt services, an easy to navigate site structure and dozens of extendable features all serve one thing: to highlight your photos. Of course, we haven't forgot that the business side of things should also have its place. Service detail pages with galleries are accompanied by rates overviews. Separate sections are in place for client testimonials, a blog overview and a contact section. And behind the screens we're here to provide excellent support and ongoing updates. Keeping your blog updated regularly can increase page views and help boost rankings.The Photography Studio WordPress Theme comes with a blog, plus several sample articles. Unlike the average WordPress theme on the market, the Photography Studio WordPress Theme was designed specifically to create a professional online presence for photographers. With a contrasting color and highlighted on the homepage and the sidebar, the Photography Studio WordPress Theme contains call-to-actions that get noticed. Make it easy for prospective clients to get in touch with questions through the Contact page, featuring an integrated Google map, route planner and a handy form. 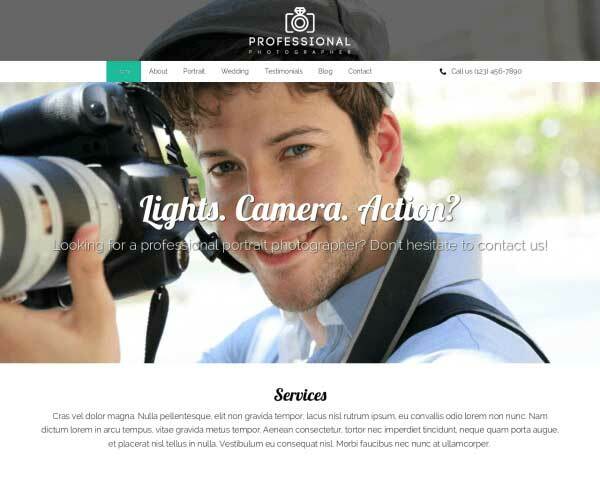 The Photography Studio WordPress Theme has a clean and professional design that can be easily adjusted to suit your company's own specific design needs. 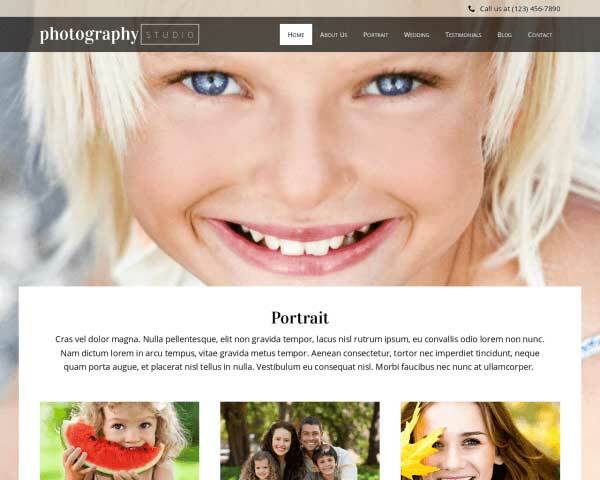 Add an image gallery to any page or post on this responsive WordPress theme for photographers. Clicking on any thumbnail opens the image in an elegant lightbox slideshow. Offer information about the services you offer by simply replacing the text on the website's hompage. 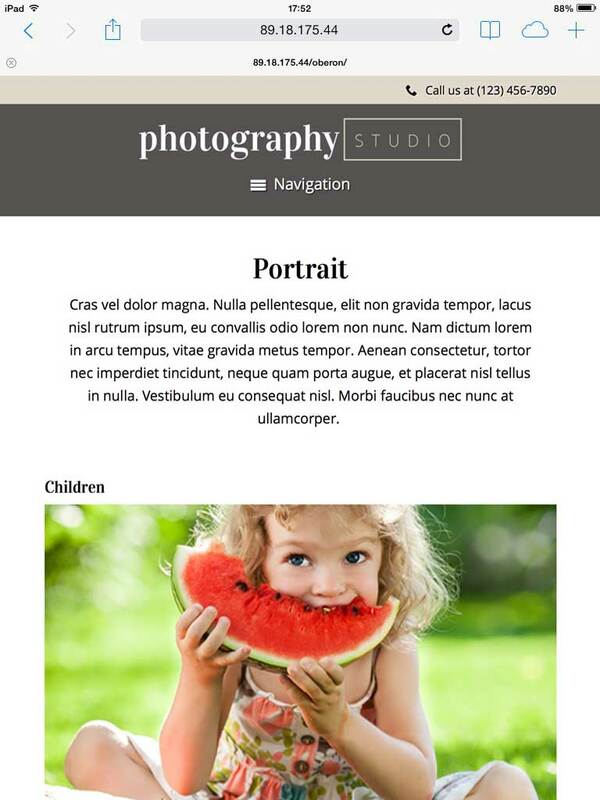 The Photography Studio WordPress Theme comes with icons for the most popular social media platforms. Visitors can connect with you online or share your content on their own pages. 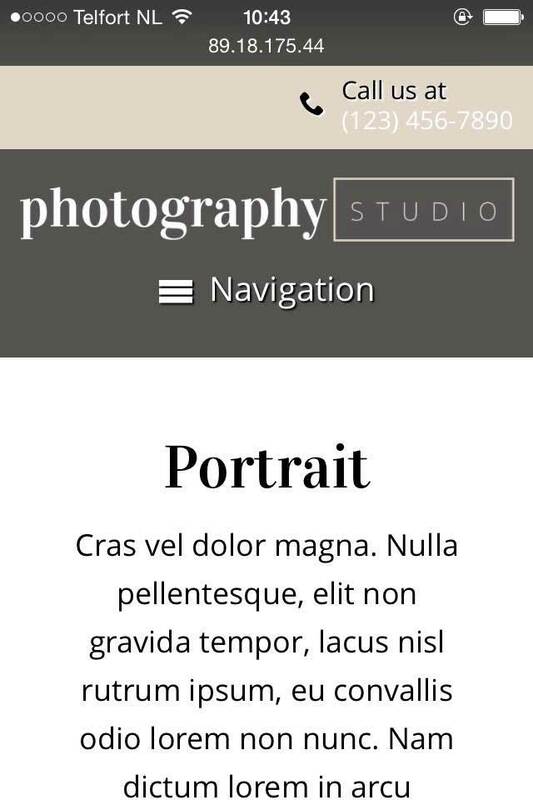 Establish your entire team's authority by using the Photography Studio WordPress Theme's about page to share a bit of each team member's own personal story. There no better promotion than to let others do the talking. Display reviews from satisfied clients in the testimonials section on the homepage. Simply replace the demo text with your quotes to display them styled as you see here. How can your pictures weave a tapestry of a thousand words if not shown correctly? The answer: they can't. 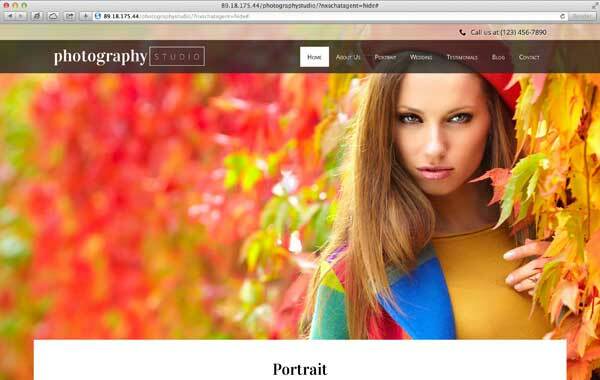 That is why all of our WordPress themes, including the Photography Studio WordPress theme, are optimized for mobile devices. This means that your pictures will get their place in the spotlight irrespective of device being used. Smartphone, tablet, desktop, laptop and any other device you can think of with their myriad of screen resolutions, it all doesn't matter. 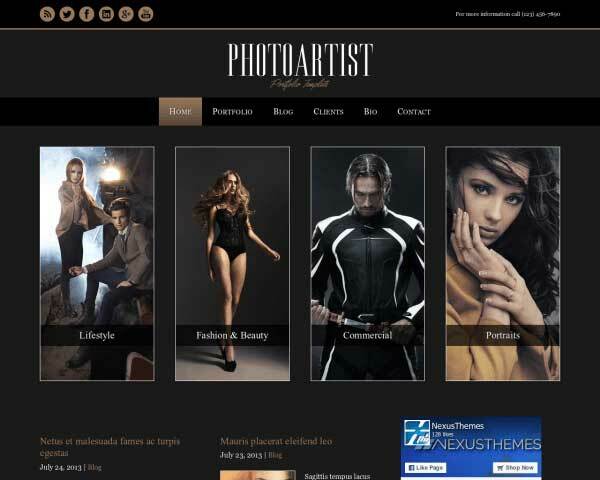 With the responsive Photography Studio template you'll be assured of the fact your website's visitors will have a superb user experience of your online photography skills.